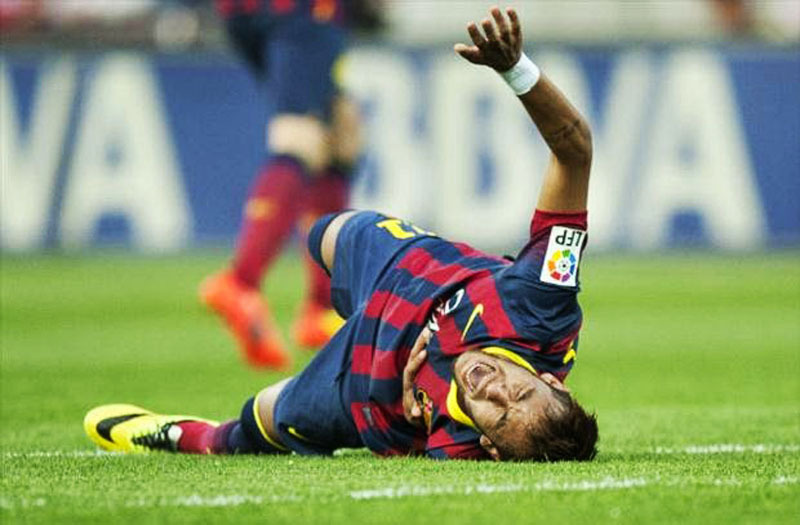 Bad news don’t stop piling up for Barcelona and right after the Copa del Rey final against Real Madrid, the club has confirmed that Neymar has picked up an injury on the fourth metatarsal of his left foot. 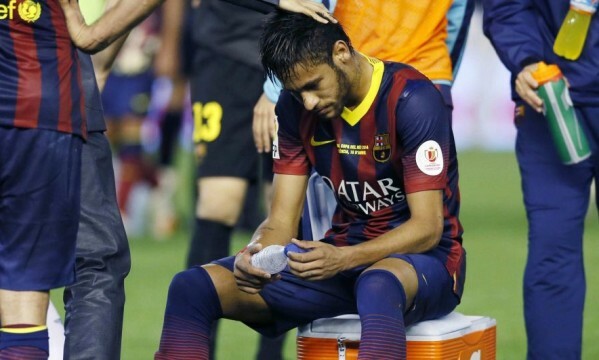 The Brazil international played the whole 90 minutes of the game and unfortunately couldn’t help Barça to avoid losing against a stronger Real Madrid. He didn’t appeared to be physically limited at the end of the game though and he even had a great opportunity to put things even at a 2-goals draw, when he hit the post just a few minutes before the final whistle. 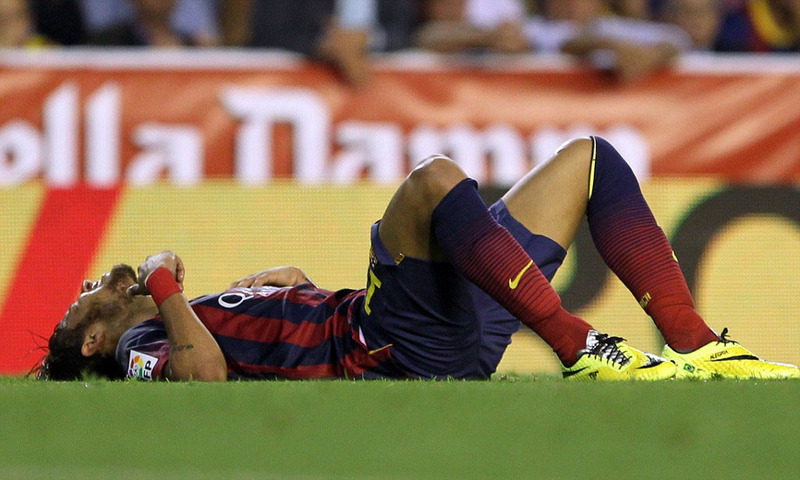 According to the latest medical reports, Neymar should be out of the action for the next 3 to 4 weeks, meaning that he’s very likely miss most of the remaining Barcelona fixtures. 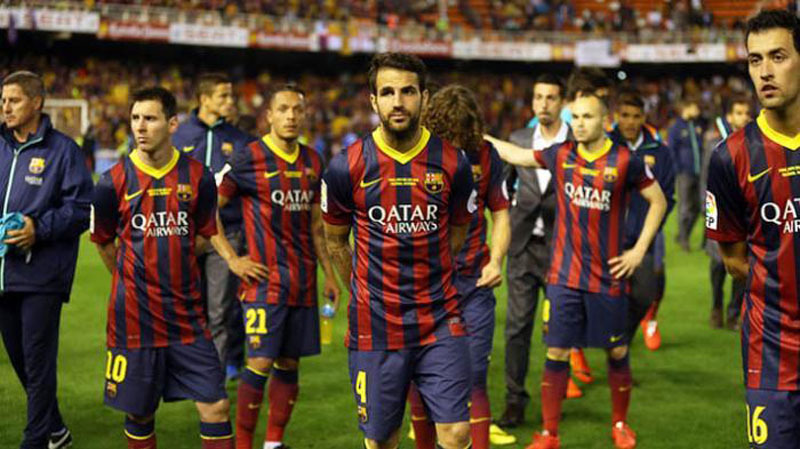 There are now 5 league games left in Barça‘s calendar and the last game of the season is scheduled for May 18. Barcelona will host Athletic Bilbao this Sunday night and they are imperatively obliged to win in order to keep chasing Real Madrid and Atletico Madrid on the top of La Liga standings.